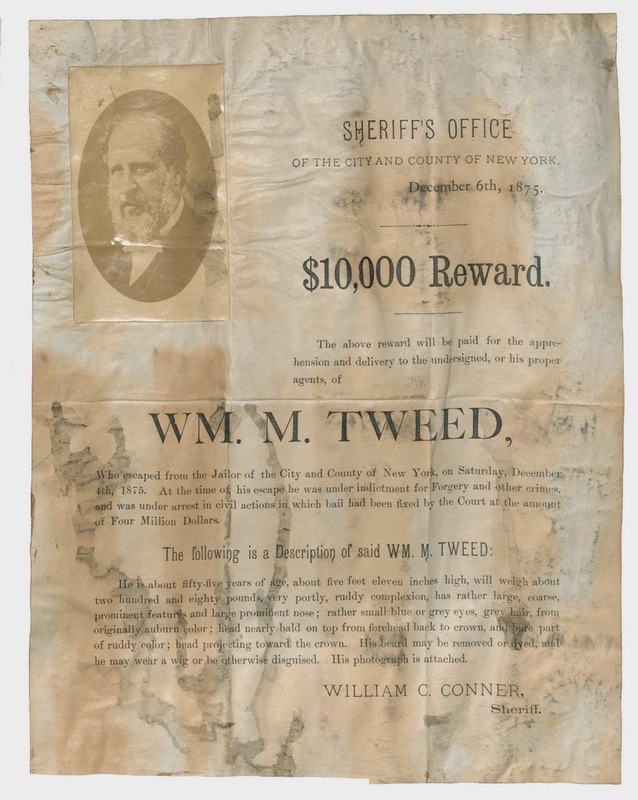 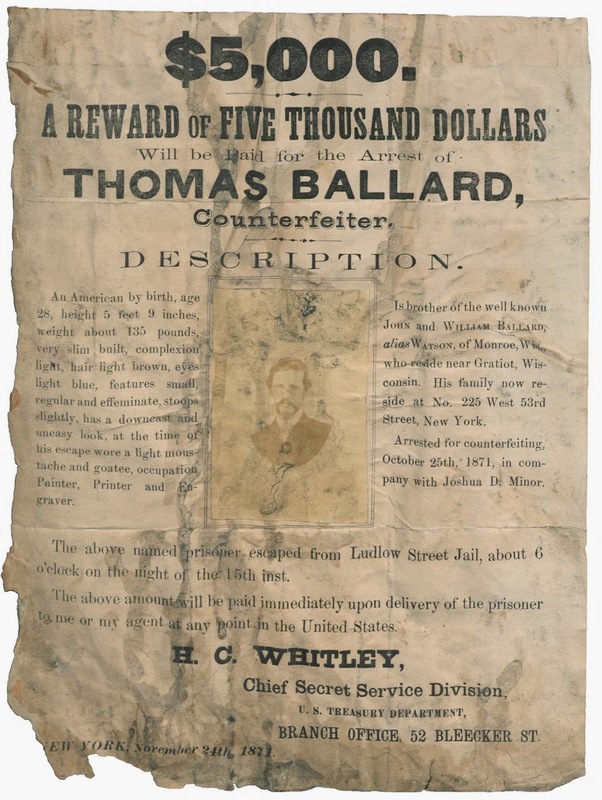 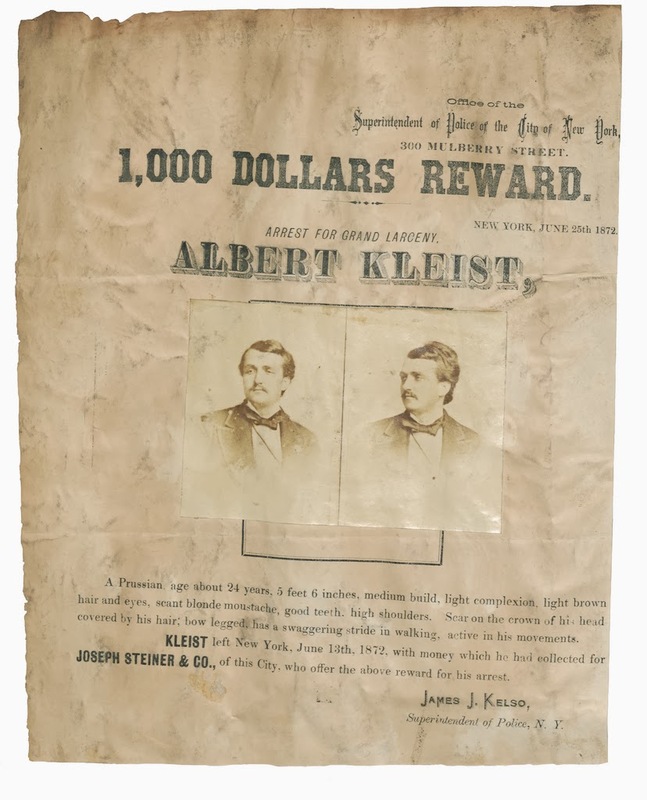 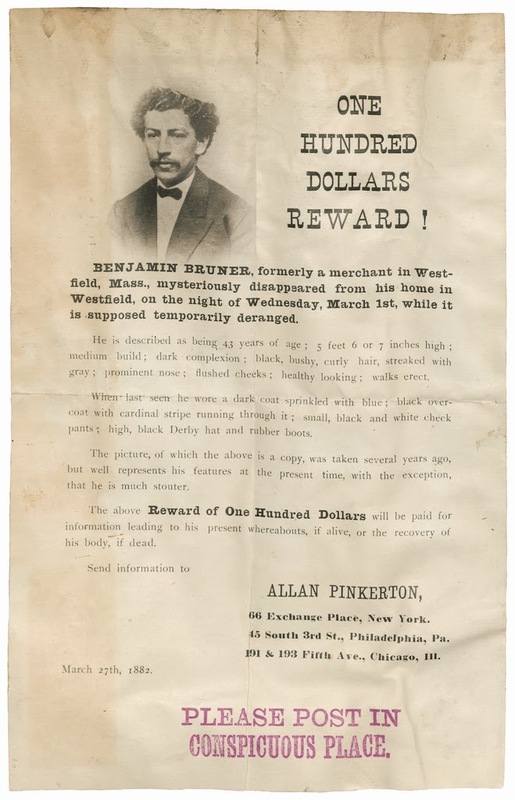 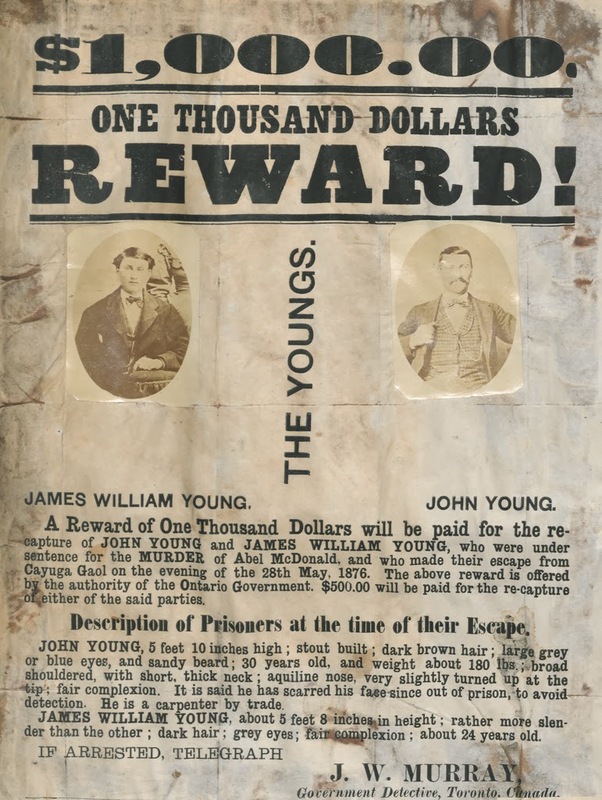 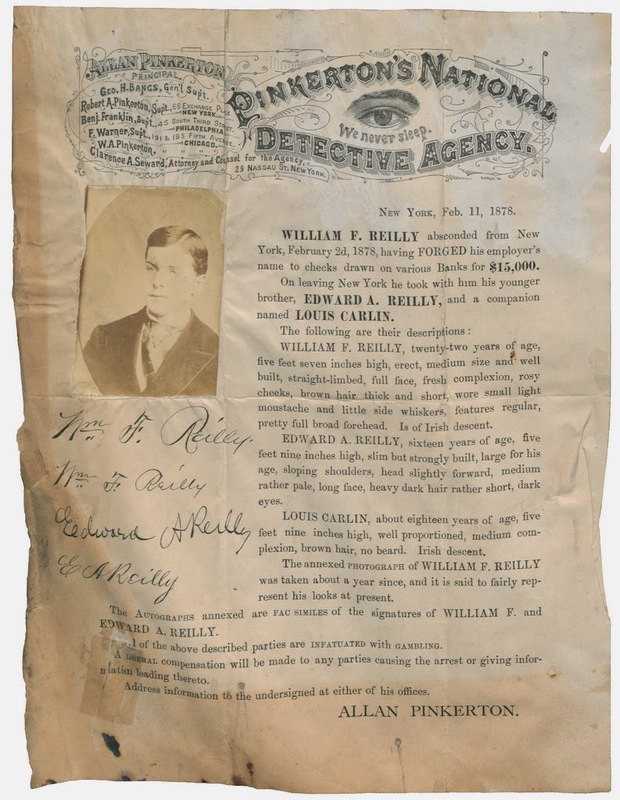 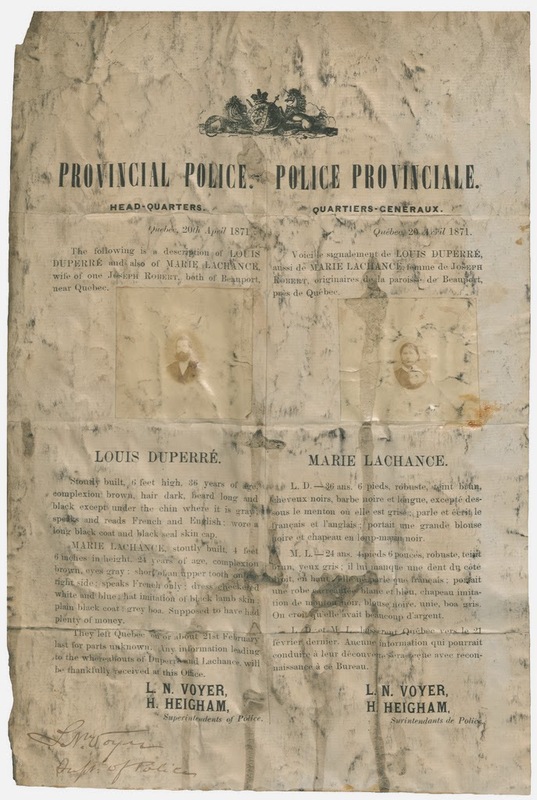 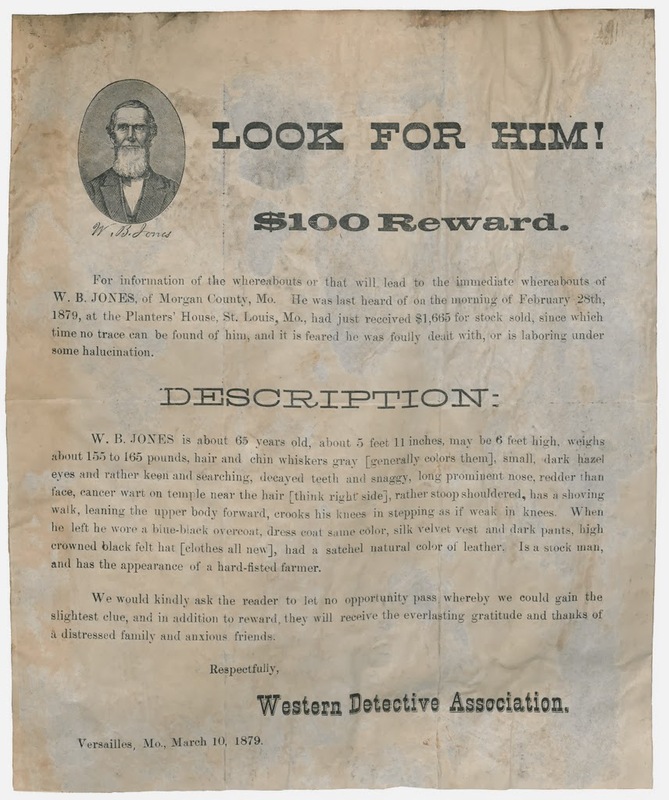 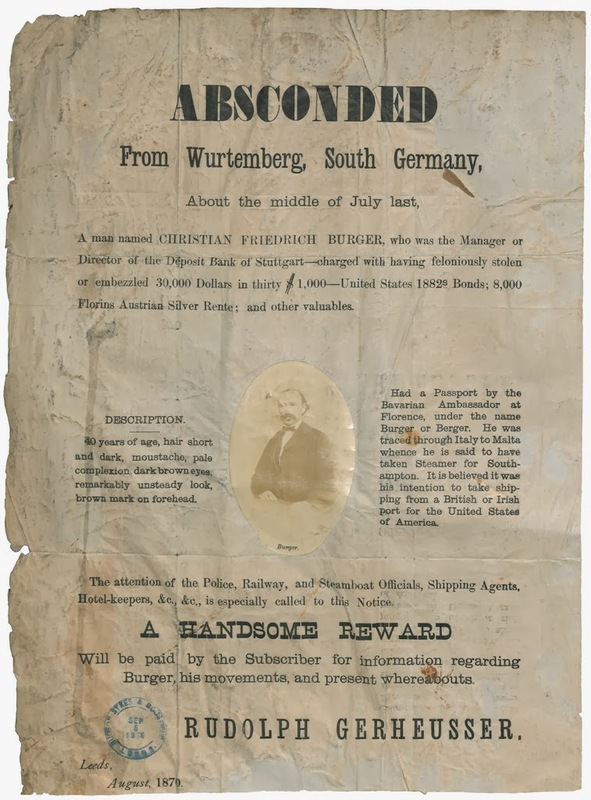 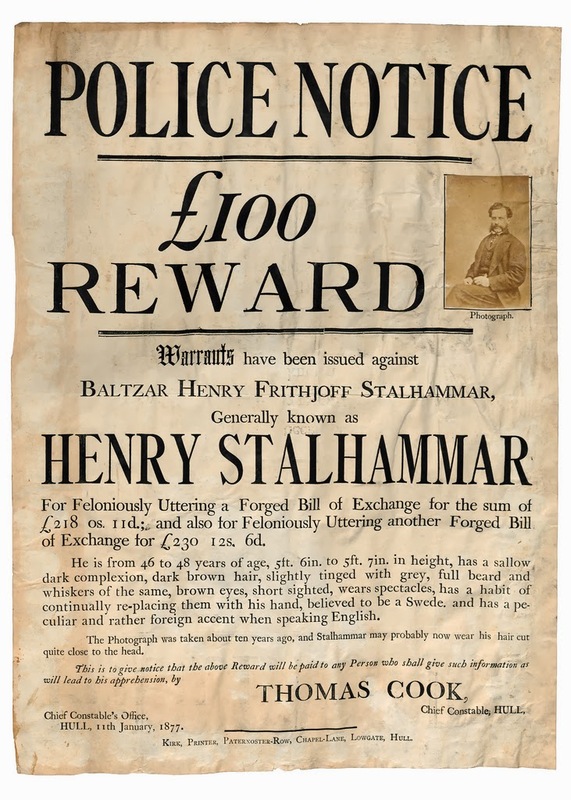 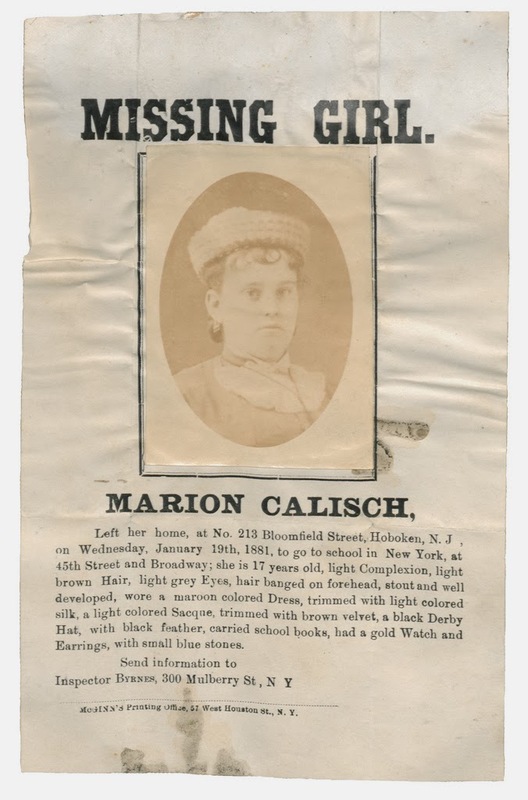 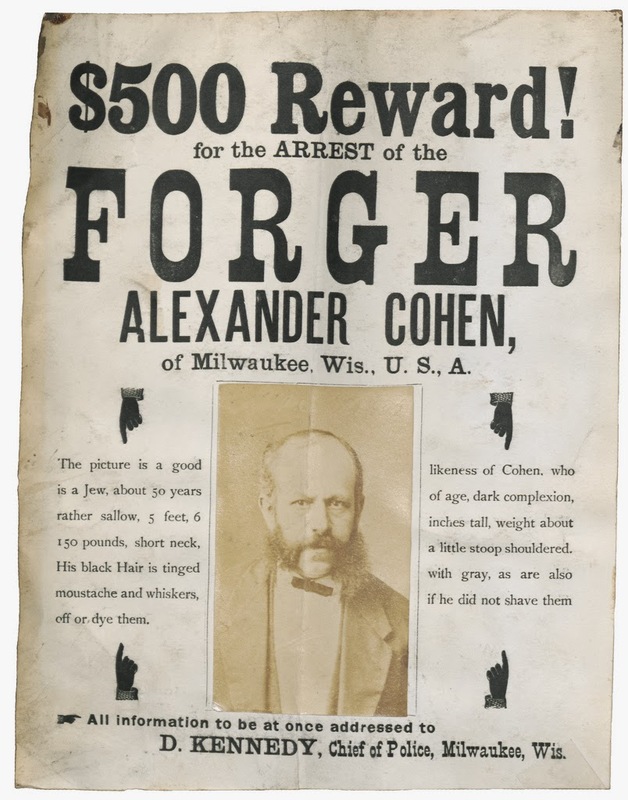 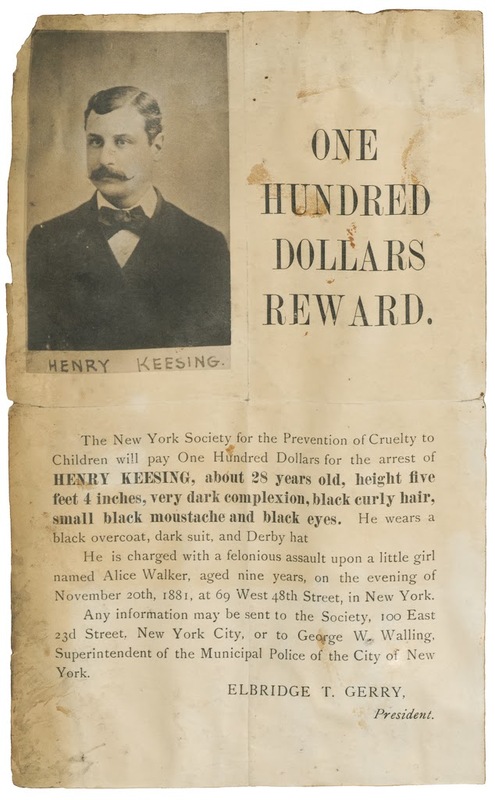 The Nova Scotia Archives has a terrific collection of wanted posters from 1868-1888 (assembled in a scrapbook from the time period), and something I find especially fascinating is the number containing photographs, even at this relatively early date in the history of photography. 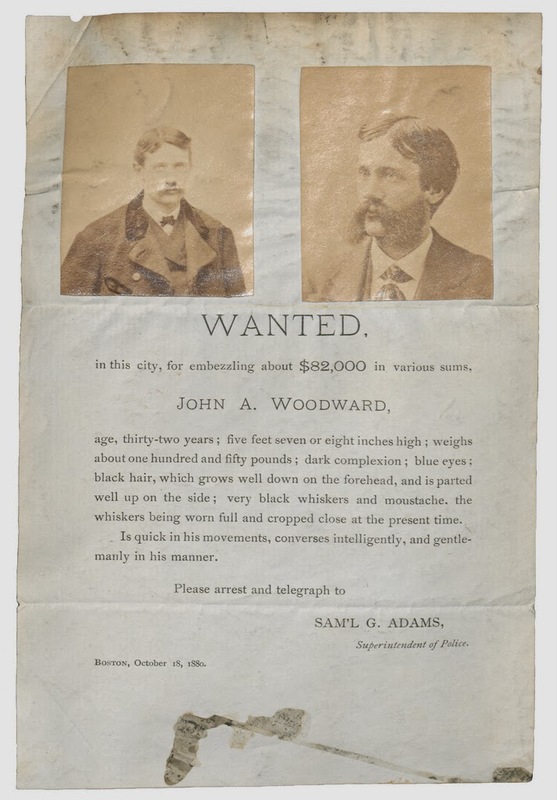 The photographs appear to come from prior studio sessions of the individuals in question, probably either reprinted (studios kept negatives on file) or re-photographed from a carte-de-visite or cabinet card and printed for the posters. 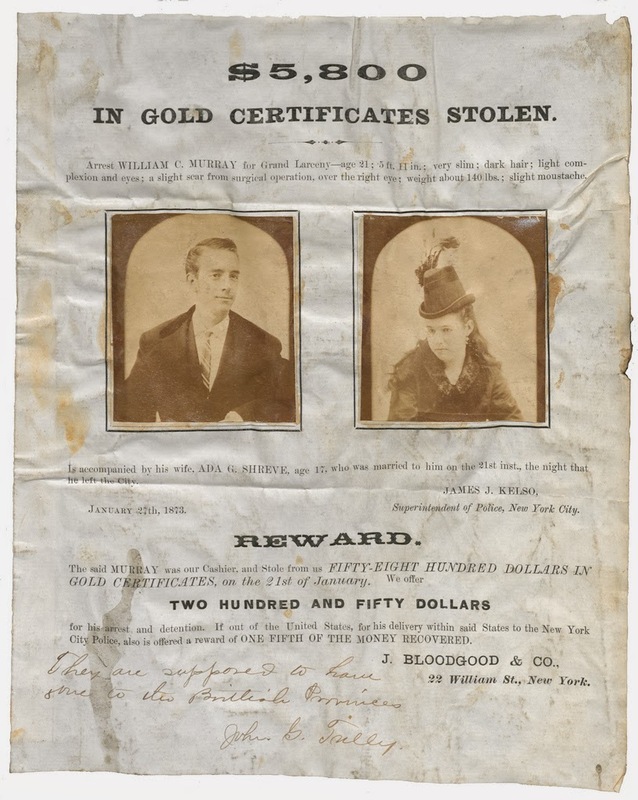 It's an interesting contrast, the genteel carte-de-visite portrait paired with the crimes their sitters are accused of.